Our PTA is a great way to support the needs of Ivymount's exceptional students, families and staff. This year, instead of each class being responsible for planning its own events, we are having 5 school-wide events during National Teacher Appreciation Week, May 6-10, 2019. We need your support to make these events a success! All 5 events will be open to all of the approximately 275 Ivymount staff members, including teachers, therapists, specialists and administrative staff. Students will wear the official Ivymount School color – GREEN – as a sign of how much they and their families appreciate their educators. Please sign up to send in nut-free home-baked or store-bought snacks and desserts for the all-staff snack and dessert bar and to help set up. Please sign up to help with this annual event which provides a festive catered lunch and raffle for all staff. Students will bring in thank you notes, cards, drawings, artwork and photos for Ivymount staff. Your Room Parent will send out more details and a list of teachers, therapists and specialists so you and your child can decide who you would like to thank. Thanks to generous donations from local businesses, we will be serving a grab and go breakfast for staff. Please sign up to help set up. Want to join the Ivymount PTA Listserv? 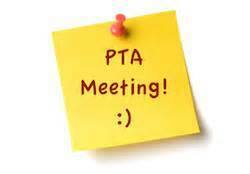 The PTA would like your input for planning for future events. Please click here to complete a three question survey about your family's interests. on Friday, May 3rd at 10 am. The Ivymount School PTA is a community of families and staff, that supports the needs of Ivymount’s exceptional students and their families. We do this by collaboration between parent and teachers, fostering relationships between families, and providing social and training opportunities that meet the specific needs of this unique community. May 3rd at 10 a.m.